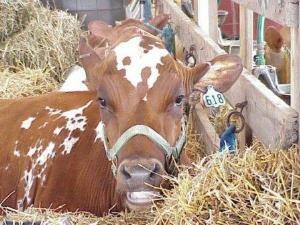 The Goshen Country Fair is one of the area’s longest-running and most beloved fairs. This is the time of the year for outdoor festivals. Every summer, this area is a hotbed for festivals — blueberry festivals, peach festivals, county fairs, firemen’s festivals, state fairs and plain old country fairs. One of the best — and longest-running — is the annual Goshen Country Fair (Goshen Fairgrounds, Park Avenue, East Goshen, 610- 430-1554, www.goshencountryfair.org). The fair, which is celebrating its 66th anniversary this season, will run from July 27-August 1 at the Goshen Fairgrounds, which are located just off West Chester Pike three miles east of West Chester. This is an authentic down-home country fair with all the agricultural events found at most traditional country fairs, including competitions each night at 6 p.m. — cows on July 28, goats on July 29, rabbits on July 30, Holstein and Lineback cows on July 31 and sheep on August 1. The schedule for live music includes Southern Edge on July 27, Tom’s Attic on July 28, Swing Kings on July 29, Charlie Gracie on July 30, Rob Snyder on July 31 and CC Lawmen on August 1. The Kimberton Fair is another of Chester County’s great summer events. 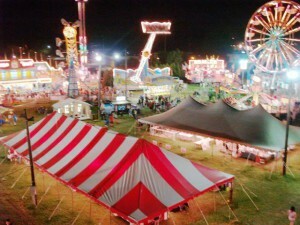 If you enjoy country fairs, you can also check out the 87th Annual Kimberton Community Fair (Kimberton Fairgrounds, Route 113, Kimberton, 610-933-4566, http://kimbertonfair.org) which is running now through July 25. The Kimberton Fair is a “rain-or-shine” event –more or less. According to the event’s website, they never officially “close” the fair as a result of rain because they must remain “open” to adhere to Pennsylvania Department of Agriculture operating guidelines. The indoor attractions stay open even in inclement weather but the festival may shut down any amusement ride if the weather causes safety issues. This weekend’s event calendar also includes the Insta-Con Pop Culture Convention in Kennett Square. The Insta-Con Pop Culture Convention will be held on July 25 from 10 a.m.-4 p.m. at the Kennett Public Library (East State Street, Kennett Square, 610-444-2702, http://kplteens.wix.com/insta-con-2015). The free, family-oriented event is billed as a “pop-up pop culture convention” being held at the library. Insta-Con is a full-fledged pop culture happening that will completely take over the library with special guests, panels, talks, games and more. This year’s event will feature comic book author Greg Pak (Batman/Superman, Storm, Turok), comic book illustrator Brooke Allen (Lumberjanes), author/illustrator Annie Mok, artist/writer Sean Dillon and cartoonist Luke Foster. Show attendees can dress up in whatever manner suits them. Cosplay is encouraged and the event will even feature a special cosplay contest. 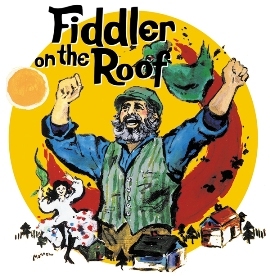 The hit musical “Fiddler on the Roof” is a classic — a show that audiences return to over and over again and never get tired of watching. Fans will have another chance to revisit the timeless piece by visiting Longwood Gardens (Route 1, Kennett Square, 610-388-1000, www.longwoodgardens.org) on July 24, 25, 30 or 31 or August 1. Brandywiners, Ltd. will perform the award-winning musical at 8 p.m. each night in Longwood’s beautiful Open Air Theatre. Fiddler on the Roof” takes a look at Jewish history and has an amazing amount of history on its own. The musical, which is set in Russia in the early 1900s, tells the story of Tevye, his wife Golde and three of their daughters — Tzeitel, Hodel and Chava. It just over 50 years ago that the timeless musical opened on Broadway. The inaugural performance took place on September 22, 1964 at the Imperial Theatre. It ran for a record-setting total of 3,242 performances and was the first musical theater run in history to surpass 3,000 performances. The musical, which is based on Sholom Aleichem’s short story “Tevye’s Daughters”, is set in 1905 in Anatevka, a small Ukrainian Jewish village in Russia. It tells the story of Tevye’s attempts to maintain his family and Jewish religious traditions during challenging times. July is National Hot Dog Month and July 23 is National Hot Dog Day. Even better, July is National Ice Cream Month. Itching to celebrate National Ice Cream Month? Join the folks at Springton Manor. Once again, the Friends of Springton Manor are holding a special event to celebrate the special month. 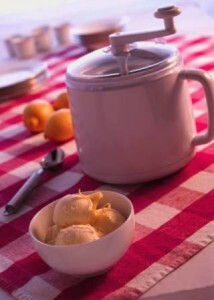 On July 26, the “Friends” of the historic site just west of Downingtown will host an “Ice Cream Social” at Springton Manor (860 Springton Road, Glenmoore, 610-942-2450, http://dsf.chesco.org/ccparks). Live performances of drum and bugle shows, which include music and marching, are another popular summertime tradition in America. Drum Corp Associates presents the Downingtown Classic July 25. 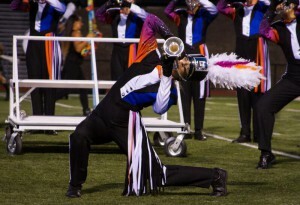 On July 25, DCA (Drum Corps Associates) will present the “Downingtown Classic” at 7 p.m. at Downingtown West High School’s Stadium (445 Manor Avenue, Downingtown, 610-929-4654, http://www.downingtownclassic.com). The event, which is sponsored by the Reading Buccaneers, will feature seven talented DCA corps — Bushwackers, Cadets 2, Excelsior, Hurricanes, Skyliners, White Sabers and Buccaneers. There will also be a special exhibition by the United States Marine Silent Drill Platoon. Tickets are $20 for reserved seating and $17 for general admission. On July 30, seven of the world’s top competitive drum and bugle corps will be appearing at PPL Park (1 Stadium Drive, Chester, 610.821.0345) as part of the DCI (Drum Corps International) Tour of Champions Grand Finale. Featured in the competition which is part of the eight-event nationwide DCI Tour of Champions Series will be the 10-time World Champion Cadets from Allentown (PA), the 16-time World Champions Blue Devils of Concord (CA), the seven-time World Champion The Cavaliers of Rosemont (IL), the 2013 World Champion Carolina Crown of Fort Mill (SC), the two-time World Champion Phantom Regiment of Rockford (IL), the six-time World Champion Santa Clara Vanguard of Santa Clara (CA) and the Bluecoats of Canton (OH). The participating ensembles feature members under the age of 22 who are proficient in three categories — brass, percussion and color guard/dance. Each group performs a 12-minute production based on a wide variety of musical styles. The “DCI Tour of Champions Grand Finale” begins at 7:30 p.m. Tickets are $30 for Reserved, $50 for Premium Reserved, $75 for Super Premium and $125 exclusive VIP seating. Tickets are available online at www.yea.org/tickets and at the box office the day of the event. For additional information, call 877-512-TUBA. The 2015 Pennsylvania Guild Fine Craft Fair (717-431-8706, www.pacrafts.org) features 192 top-flight crafters from all over the Mid-Atlantic region. It will be held on July 26 and 27 at the Chase Center on the Riverfront, which is located on Justison Street in Wilmington, Delaware. The list of participants from the area includes Kennett Square’s Liberty Chair Works (wood), Lincoln University’s KC Art Clay (clay), Glenmoore’s Leni Hoch Design (fiber), Oxford’s Golden Touch Gifts (wood), Atglen’s Anne St. Clair (clay) and Exton’s Fulton Design Studio (fiber). Also featured are Landenburg’s Caryn L. Hetherston Designs (jewelry), Chadds Ford’s Ree Gallagher (jewelry), Phoenixville’s French Creek Decoy Shop (wood), Toughkenamon’s Thomasvon Koch (glass), Oxford’s Eldreth Designs (jewelry) and Landisville’s Keysha Koy Studios (glass). As an added attraction, there will be a number of demonstrations presented by a diverse group of featured artists both days. 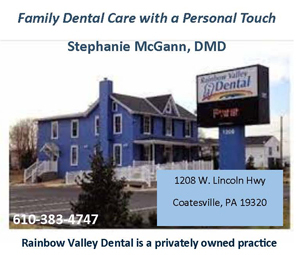 Show hours are 10 a.m.-6 p.m. on July 25 and 10 a.m.-5 p.m. on July 26. Tickets are $8 for adults. Children (under 16) will be admitted free. There will also be free parking. On July 25, the Greater Philadelphia Expo Center (100 Station Road, Oaks, 610-529-3614, www.eastcoastreptilesuperexpos.com) will host the East Coast Reptile Super Expo from 9 a.m.-4:30 p.m. Tickets are $10 with children (under five) admitted free. If you think snakes and lizards are creepy — stay away. If you think they are interesting creatures and/or potential pets, you should attend this show. A wide array of reptiles will be on display as part of the popular exhibition. One of the show’s most popular attractions is a sales exhibit area featuring a large number of vendors with live reptiles, amphibians and arachnids as well as food items, supplies, books, cages, and related accessories. The roster of very diverse vendors includes Reptile Deli Inc, AZO Reptiles, Rose’s Reptiles, Dale’s Bearded Dragons, Blake’s Exotic Reptiles, DHA Pythons, Gecko Haven, Skins and Scales, The Dragons Den, Rogue Reptiles LLC, Delaware Turtle, Corralus Creations, Perryman Dart Frogs, Jon & Wess Reptiles, Dachiu Dragons, Dower Reptiles & Rodents, Bob’s Critters, Livecargo Pets & Supplies, Franken Chams, Reptile Addicts, Turtle Towns, MCO Reptiles and Fins, Feathers, Paws & Claws. Also featured are RKZ Rodents, Monstar Reptiles, Serpents Plus, Hunger Reptiles, Heath’s Frog Farm, Newville Dragons, PM Herps, Dragon Fortress, Black Jungle Terrarium Supply, Delaware Valley Herpetarium, Outback Reptiles, Venomous Addiction, Fowler Reptiles, Turtle to Turtle, Reptile Kingdom, Tom Rogan Reptiles, Garden State Tortoise LLC, MJS Reptiles, Harris in Wonderland, Jason R Bartolett Captive Bred Reptiles, Just Lizards, Native Exotics, Jay Jacoby Serpent Propagation and Jungle Emporium. Visitors to the Fort will be able to watch planes from nearby Philadelphia International Airport as they ascend on take-offs and descend on landings — and find out why they built Fort Mifflin so close to a major airport. Participants in the day’s activities will be able to learn the basics of flight, build their own gliders and explore the use of aircraft in warfare and anti-aircraft defenses. Fort Mifflin actually held anti-aircraft guns during World War II. Airplane Day @The Fort” will run from 10 a.m.-4 p.m. Tickets are $10 for adults, $8 for seniors (age 65 and older) and $6 for veterans (with ID) and students (age 12 and under). One of the most popular annual events at the Landis Valley Museum (2451 Kissel Hill Road, Lancaster, 717-569-0401, www.landisvalleymuseum.org) is “Civil War Days.” The fun and educational event, which will be held on July 25 and 26, takes visitors back into an era when America’s northern states waged war with states from the south. In light of current events, the Confederate troops might have greater incentive to defend their flag this year. The museum’s grounds in Lancaster will be the site of a Civil War era village. Additionally, the site will host a large number of authentically dressed military and civilian re-enactors in a variety of roles such as merchants, members of aid societies, craftsmen and townsfolk. Some of the featured activities are company drills, weapon firing demonstrations, musket drills and a cavalry demonstration. Landis Valley Museum is a living history village dedicated to collecting, preserving and interpreting the history and culture of the Pennsylvania German community from 1740-1940. Admission tickets are $12 for adults, $10 for seniors and $8 for youth (ages 3-11).